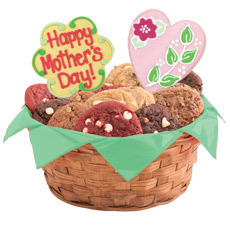 Mother's Day gifts for that special mom, wife, aunt or grandma in your life will be a precious moment in their life. Have fun selecting for our various gifts. 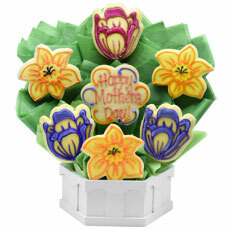 On Mother's Day, send your mom this beautiful gift basket of blooming tulips and daffodils, picked fresh just for her. These vibrant flowers are a sure way to brighten her day! 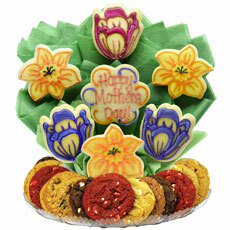 Bright, cheerful, and delicious, these beautiful cookies are a perfect Mother's Day gift. 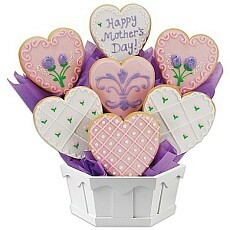 These elegant, heart shaped delights are hand decorated with our signature blend of icing.